Repainting a room? 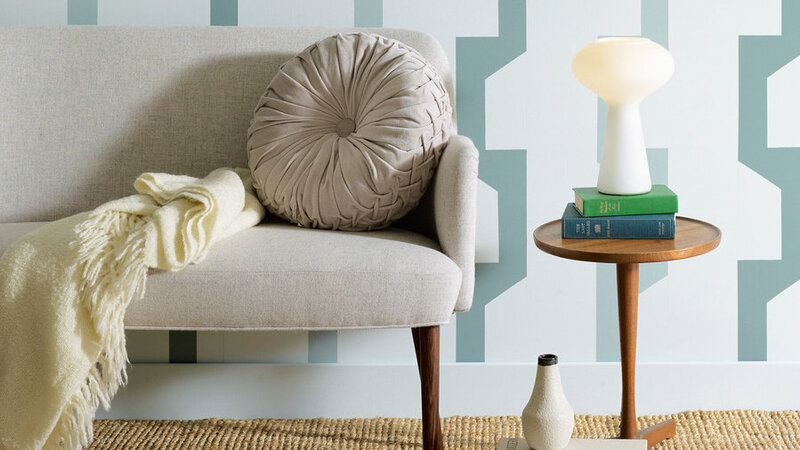 Be inventive with a geometric paint pattern that's bolder than wallpaper. With one template, you can create four dramatically different looks. 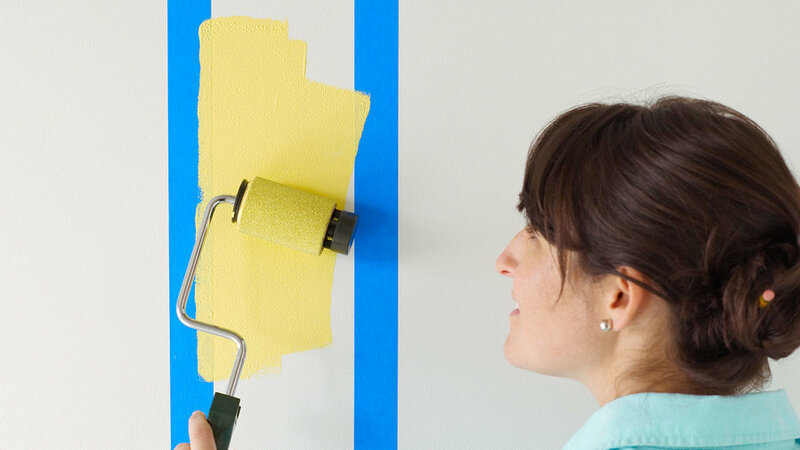 Paint experts share their tips for getting crisp lines for striped walls. 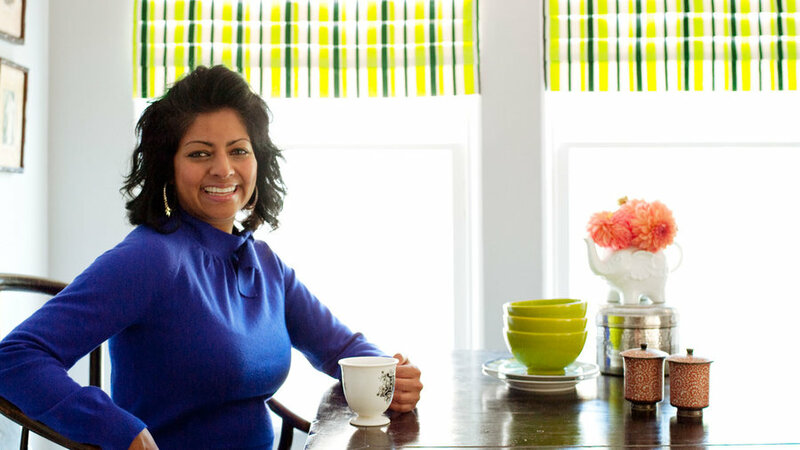 Here's the step-by-step tutorial for using their techniques to create perfect stripes in your home. Think of trim as a room’s jewelry—the finishing touch that sets the style, adds a little flair, and pulls different elements together. 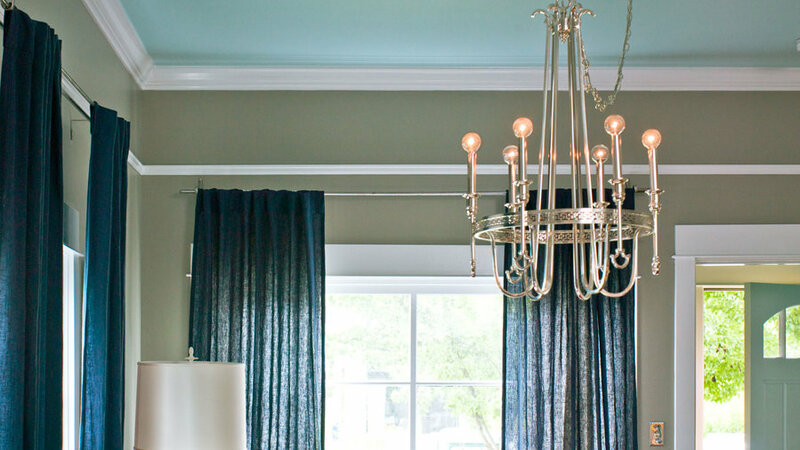 Create a statement with your trim by painting it a color that contrasts with the rest of the room. It will make the different features pop and completely change the look of the space. 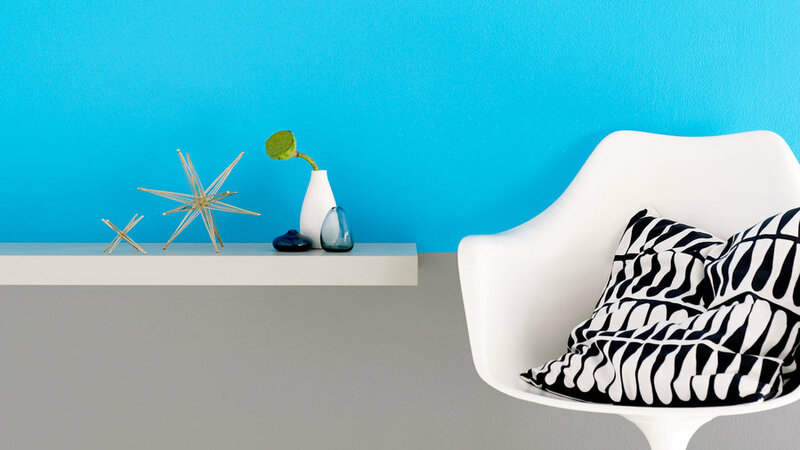 If you’ve been itching to paint a wild, bright color but don’t want to overwhelm the room, paint an accent wall. It’s like adding just the right amount of spice to a meal. The best wall to accent: The one where your eye naturally wants to go. Nothing brings a room together like breaking things up a bit. This tricolor wall will make any room cohesive, stylish, and one of a kind. Chevrons, or inverted Vs, are a fun motif for all kinds of projects. You can send them marching across a tabletop or wall, or use rows of chevrons to join two end tables (as pictured here). Although the pattern looks complex, it is easier to create than it seems. 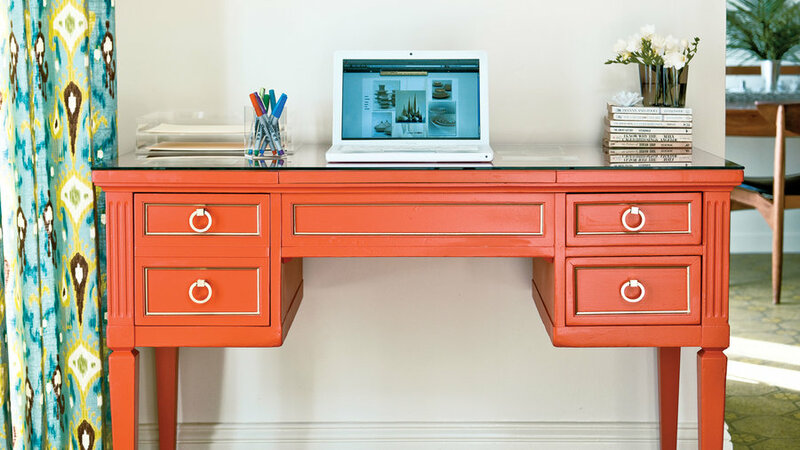 With a little paint, some gold leaf, and a simple glass top, turn a run-down desk into a trendy, bold workstation. 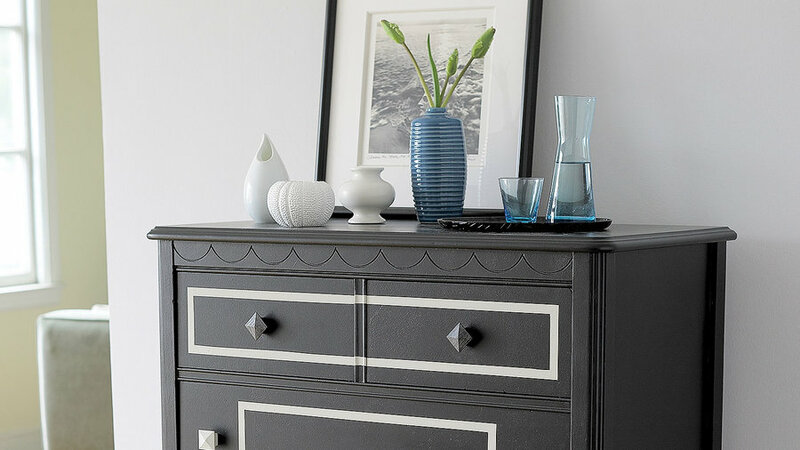 Do you have a wooden dresser that looks a bit antiquated? With a little sanding and painting, turn it into a dramatic accent piece for your bedroom or hall. 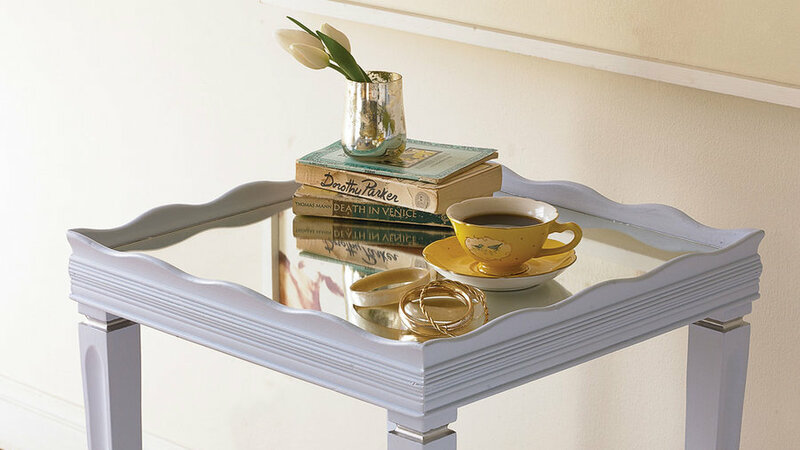 With some liquid silver and glass, you can take a dated, two-level side table from dingy to sleek and modern. Do you have an old, beaten-up chair that you still love? 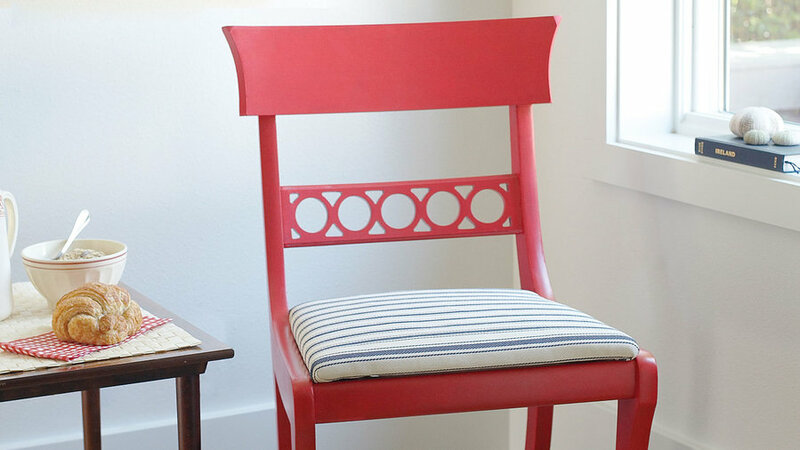 With some paint and a little fabric, you can turn a tired chair into a fresh, stylish eye-catcher. A claw-foot tub looks luxurious no matter what, but painting it a bright color gives your bathroom a playful, modern feel. Why buy a new lighting fixture when it’s so easy to spiff up an old one? 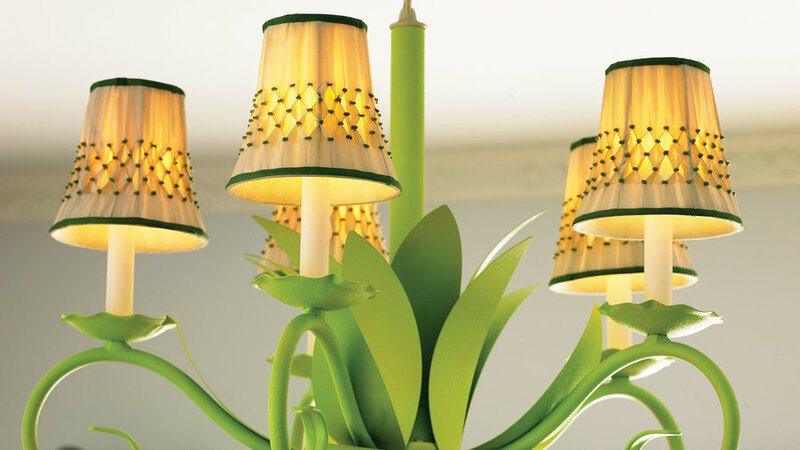 Just scan local thrift shops for a used chandelier, then give it a new paint job, bulbs, and shades. Nearly everyone has a handful of ­mismatched candlesticks, but it’s hard to display orphans, even if they’re beautiful. 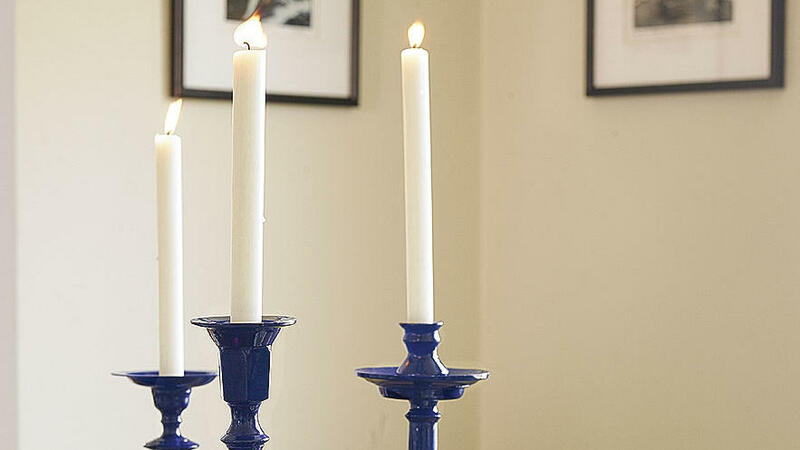 Paint your solo candlesticks a single bold color to create a unified collection with dramatic punch. Blank white roller shades let in a lot of light, but they can also be a bit, well, blank. Add a little excitement to your shades by stenciling designs on them. It’s easy and inexpensive—and your shades will be total originals. 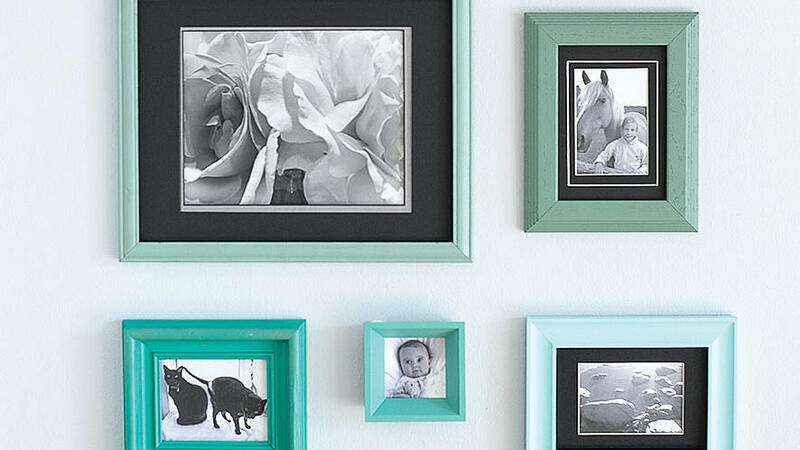 Create a unique photo display by painting mismatched picture frames with a carefully orchestrated palette. Voila!—an artful display suitable for any room in the house. Some of the most attractive wallpaper patterns are too busy for an entire room, but perfect for transforming a small area, such as a door. 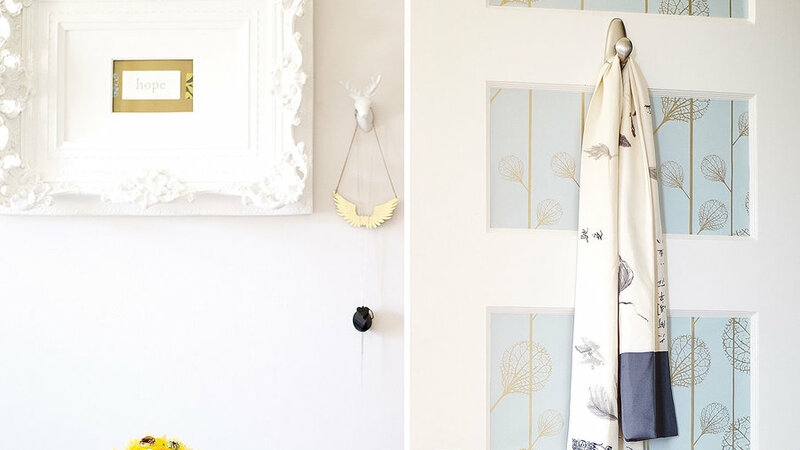 Liven up your doors with this simple yet dramatic idea. Wallpaper is making a comeback. Want to take part in the movement? There’s no need to wallpaper an entire room the way people did years ago. 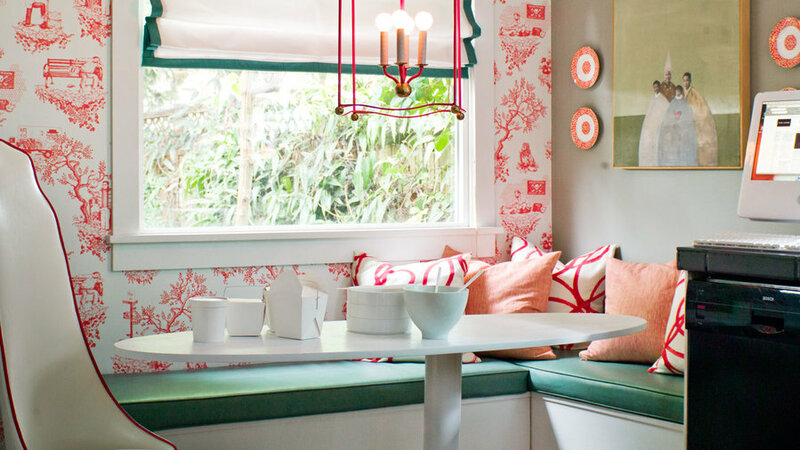 Instead, choose a bright and bold pattern and use it on just one accent wall. You cut the cost, speed the work, and wind up with a room that sings. Most people think that wallpaper is just for walls. 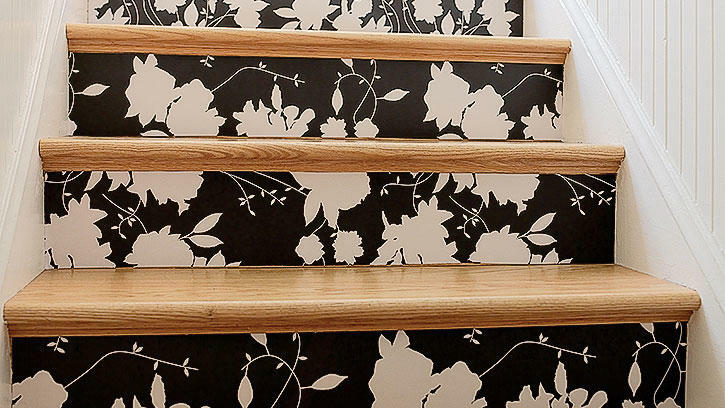 But you can wallpaper almost anything—including a staircase that needs sprucing up. 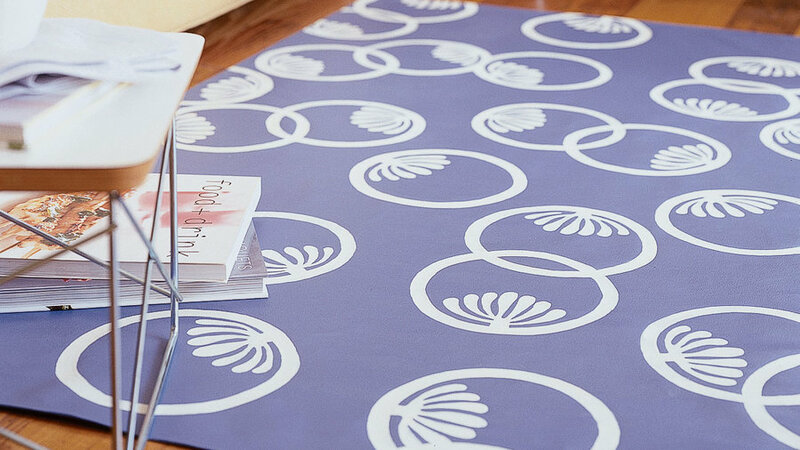 Make your own floor mat by adapting a printed design you love, and add a personal touch and graphic punch to any room. Roman shades look as though they’re drawn halfway up, but are actually sewn to cover just the top of the windows. 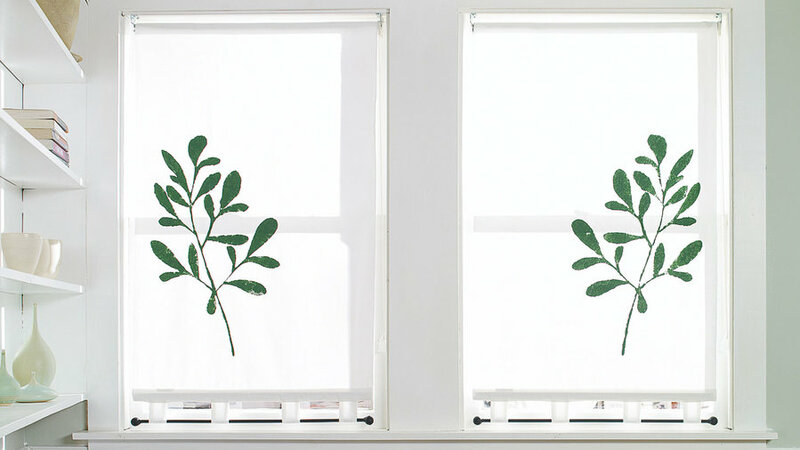 Light and airy, they are perfect for rooms where you don’t need a lot of privacy.